Before a patient is discharged, it is vital that the plan of care is communicated at the patient and family’s level of understanding, in order to be properly implemented in the home. Including patients and families throughout the care process helps to improve quality of care, build communication and develop a strong level of trust with providers. Communicate with physicians to understand diagnosis. As patients enter into the hospital, they endure physical and emotional stresses, altering their original diagnosis and plan of care. Stay informed throughout the process, gathering information regarding irregular symptoms, potential treatments, recovery process, etc. to better plan for discharge. Without clarification regarding diagnosis and plan of care, the patient is at greater risk for being readmitted into the hospital. Commit to the plan of care. It is important for family members and caregivers to stay educated on the plan of care, as they are the patient’s support system to achieve optimal health and independence. For many, care plans require a patient’s family or caregivers to provide assistance with tasks including administration of medications, activities of daily living, or assistance with transferring or walking. If there are questions or concerns about your loved one’s plan of care, discuss options with their physician and specialty providers. Stay involved throughout the transition of care. As your loved one moves from a hospital or facility to home, take an active role in communicating with new providers and caregivers about their diagnosis and treatment plans. Act as a liaison to ensure your loved one’s needs are being cared for to achieve optimal health and avoid rehospitalization. For many, utilizing a home healthcare provider offers patients a smooth transition from hospital to home, ensuring a comprehensive continuum of care. Utilize technology throughout recovery process. If your loved one is utilizing home health services, ask their provider about TeleHealth services to help monitor and manage their condition at home. 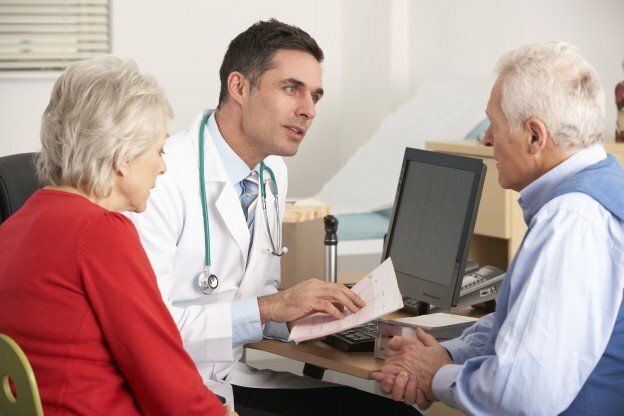 Telemonitoring improves patients and families’ knowledge and understanding of their chronic disease and proper management techniques. The goal of in-home monitoring, coupled with home care visits, is to reduce frequent visits to their physician’s office and avoid readmission into the hospital. If your loved one if being discharged from the hospital, find out today if home healthcare is the best option to help them achieve optimal health at home.